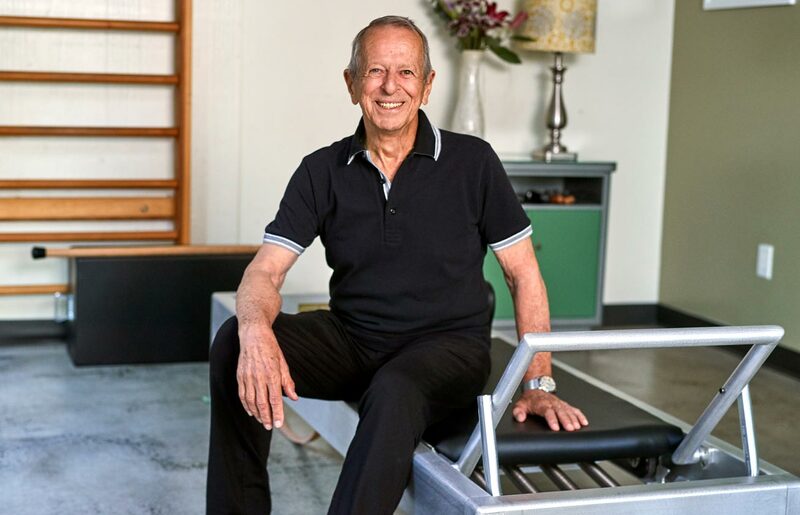 We partnered with Jay Grimes to re-create all of the subtle functionality critical to the classical Pilates approach, and build the best version of the original Reformers in Pilates studios circa 1970. 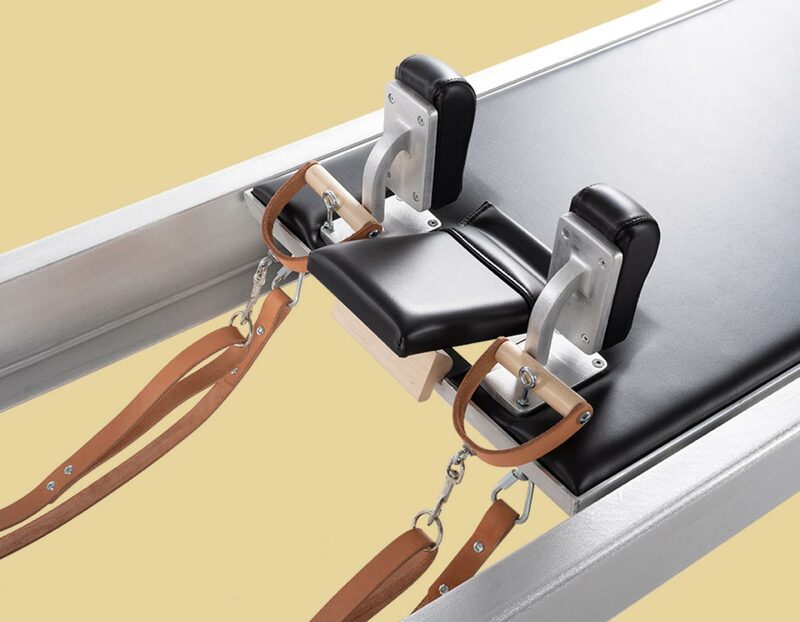 Standard wood frames on all Reformers, Trapeze Tables and Reformer-Trapeze Combinations, and metal frame on Contrology™ Reformer. A standard frame is defined as a frame that has not been modified or altered from its original specifications by Balanced Body. 42 custom upholstery colors. Add $85. 4 long-neck springs (unplated carbon steel). 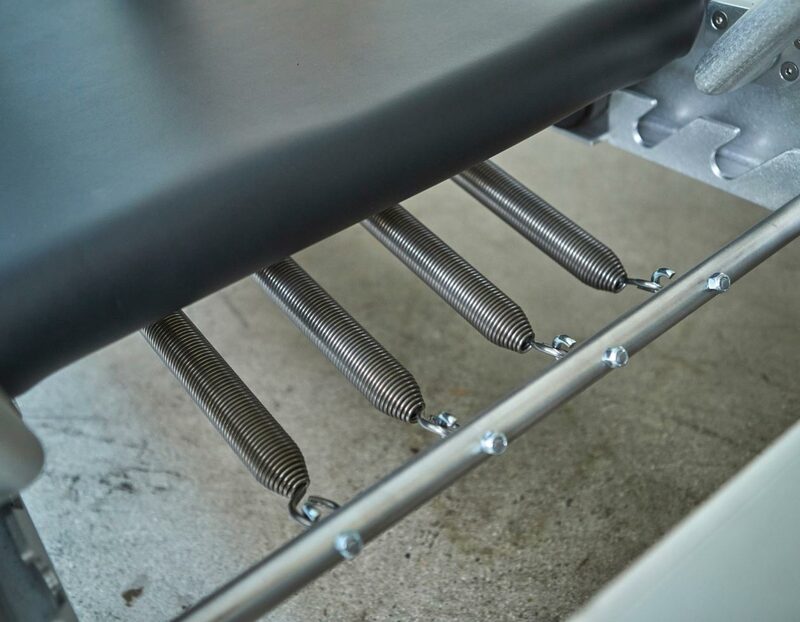 Strong, secure and durable extruded aluminum frame. Choice of 4 frames: 80” (203cm) JGRIMES, 80” (203cm) custom, 86” (218cm) custom, 89” (226cm) custom. Thin, dense, resilient foam on carriage for appropriate user interaction. Lower angle footbar position provides increased feedback while exercising. Deeper Springbar hooks provide proper spring angle. Unpadded area around shoulder blocks creates space for balls-of-feet to feel carriage base. 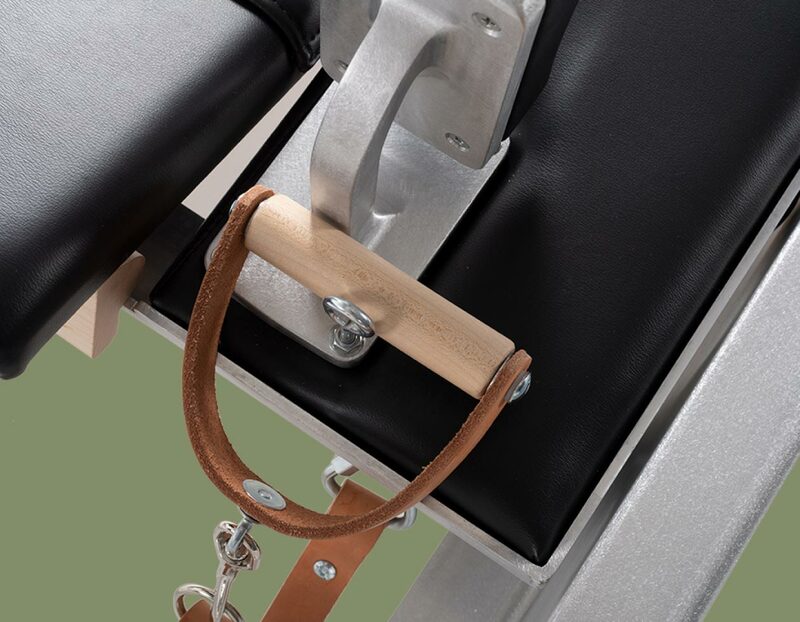 Pre-stretched natural leather straps with O-ring attachments and adjustable strap mounts for small adjustments in strap length. 2 leather and wood handles. 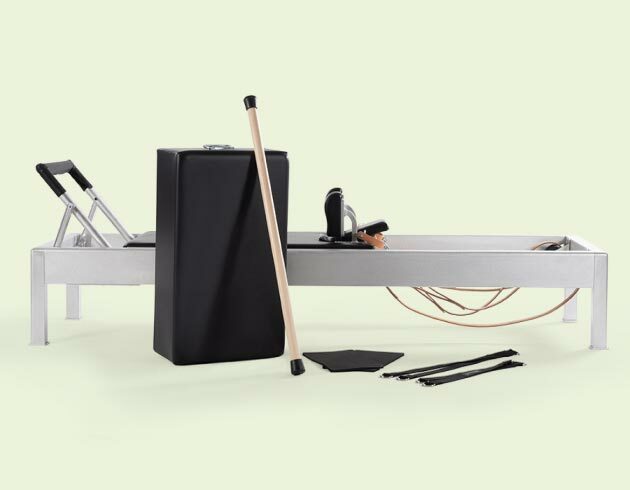 Sitting Box: Metal handles on 2 sides and thin dense padding for greater feel. 2 black cotton, extender straps. 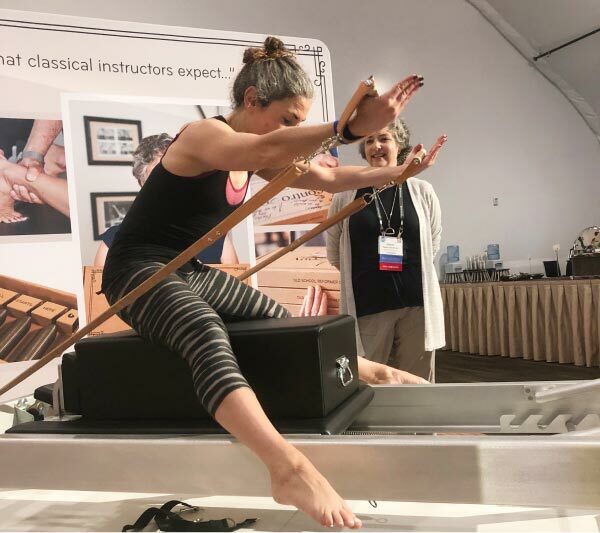 If for any reason you are not 100% satisfied with your Contrology Reformer, simply return it to us within 30 days for a refund (less freight). Guarantee applies to U.S. domestic customers only. 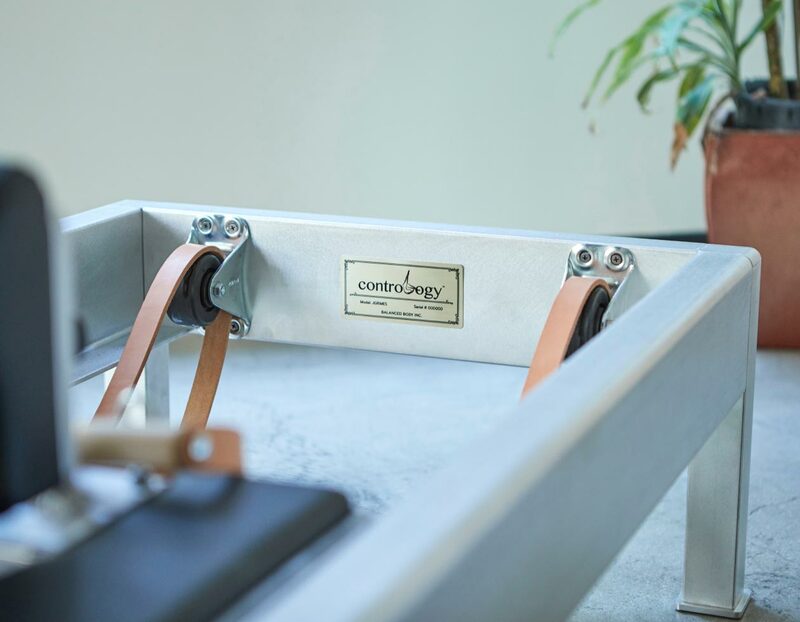 Note: In the unlikely event you want to return your Contrology Reformer, please use all original packing materials to return ship your Reformer. Any other packing material will risk damage to Reformer in return shipment.